our customers produce more with less. Get your 2019 field strategy in place now. Our crop consultants can help you match hybrids to your soil so you plant the crop that will get the highest yield. We can also help you make smart fertilizer plans based on your soil and crop rotation. Or call 715.577.1887 to schedule now. Your corn determines the amount of kernels it will have by V6. 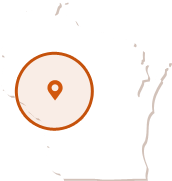 Located in Fall Creek, WI, A&J Agronomy provides fast & convenient crop consulting to West Central Wisconsin.